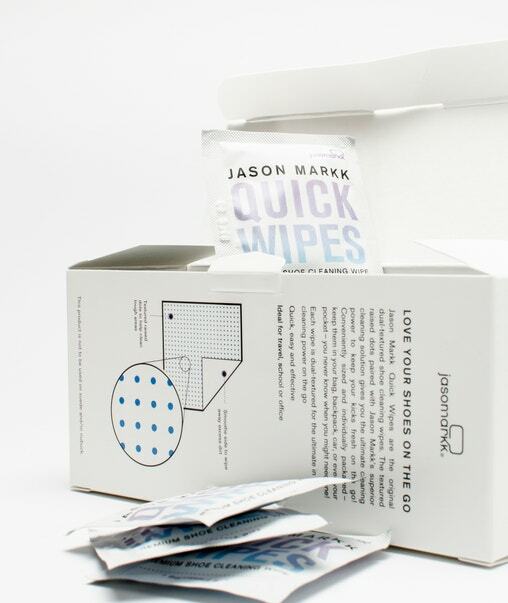 The most comfortable and simple solution to clean your sneakers comes in this box of wipes from Jason Markk. 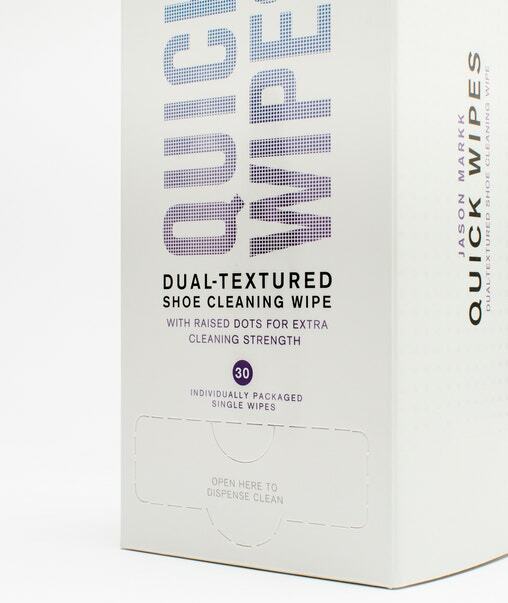 Each wipe has a double layer with specific products that will keep your shoes safe from dirt. 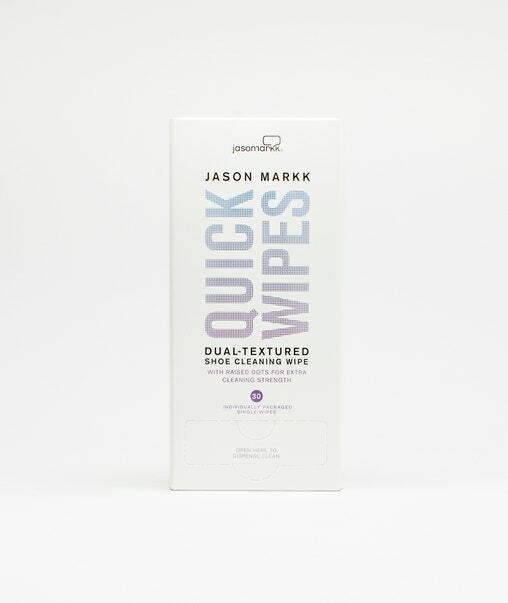 Perfect for trips and to carry in your bag.